Modern style Villa fully furnished built on two levels on a completely flat plot with private garden, swimming pool and parking. 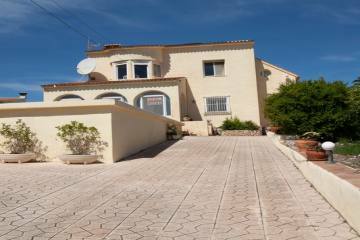 It is part of a small and quiet urbanization next to a green area and very close to the golf course La Sella. The ground floor consists of a living-dining room with fireplace and access to a beautiful terrace overlooking the garden, pool and green area. A separate and fully equipped kitchen, a bedroom plus a shower room complement this space. A decorative staircase connects with the upper floor and two double bedrooms, each with a balcony, and a complete bathroom. 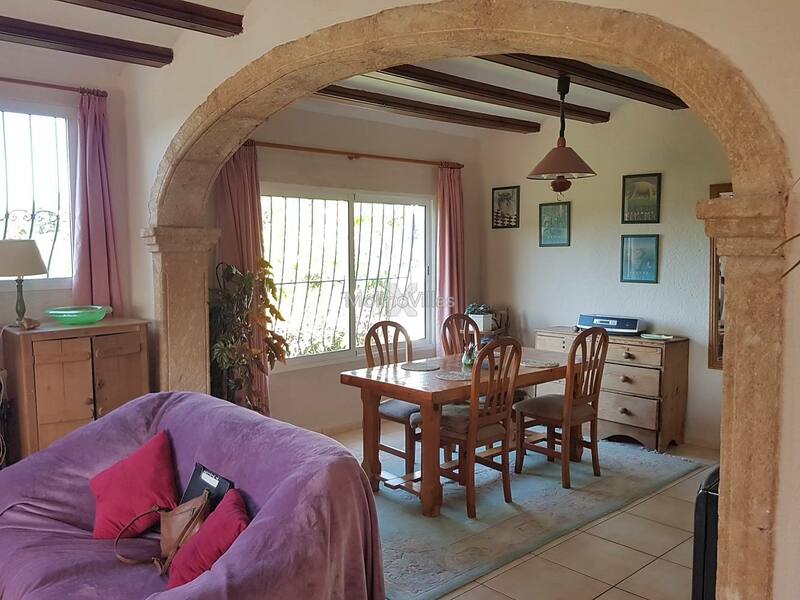 It is only 5 minutes by car to the shopping of La Sella with supermarket, pharmacy, restaurant, tennis courts and 15 minutes to the beaches of Denia and Jávea. The facilities of the Hotel Denia La Sella Golf Resort & Spa with the 27-hole golf course are next door. The nearest town is 1 km away. The property will be sold completely furnished. All YOU have to do is turn the key!